A compatible Accessory System, optimized for your needs. 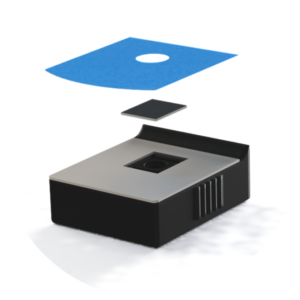 The Obsidian product line is a 3D printed accessory system for ATR infrared spectroscopy. 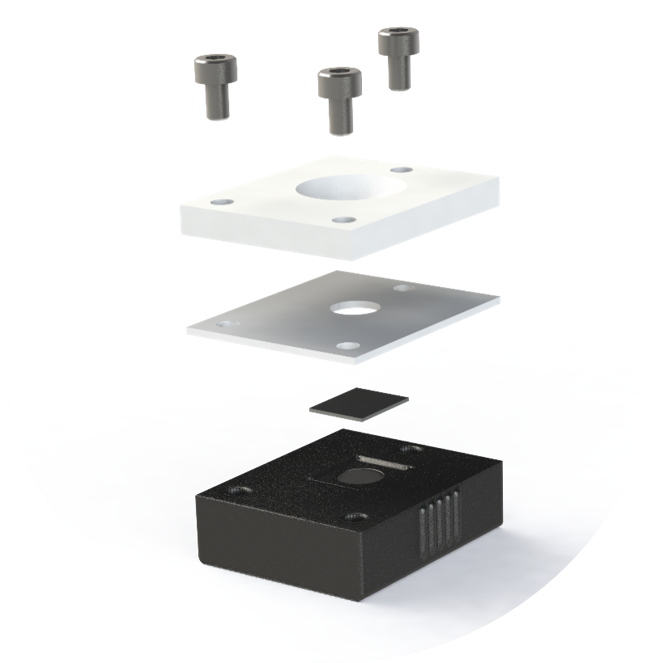 It is a universal tool and suitable for all standard FTIR spectrometers with a 2” x 3” slide mount holder. It is the easiest way to integrate the IRUBIS crystals into your device. 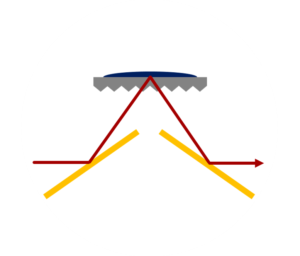 The Specular Reflection ATR Accessory is perfect for liquids and soft samples and can be used for a wavelength range from UV to far-IR. The angle of incidence is 20 degrees. Pick one of our three sampling plates for the perfect results. The flexible clamp on the surface of this top plate allows you to easily insert and remove the crystals. This sampling plate comes with a metal plate on the top. The crystals can be placed in the recess and fixed with Blue Tape as a sealing sticker. Blue Tape has adhesive properties and is an ideal solution to temporarily secure the crystals on the top plate. The stickers can be reused, depending on your samples. By adding an additional plate with a well to this version we have increased the volume capacity. Use this form to send an inquiry. We will come back to you as soon as possible with an official offer. Alternatively, you can also send an email to sales@irubis.com. Please note: The Specular Reflecion Accessory requires a standard 2” x 3” slide mount holder. All prices are displayed without sales tax and are subject to change. Shipping within Germany: 7 €. International shipping: 30 €. Accepted payment methods: Bank transfer, credit card (Visa, Mastercard, American Express), PayPal.